Pond Roofing & Exteriors has won the Angie’s List Super Service Award every year since 2007. 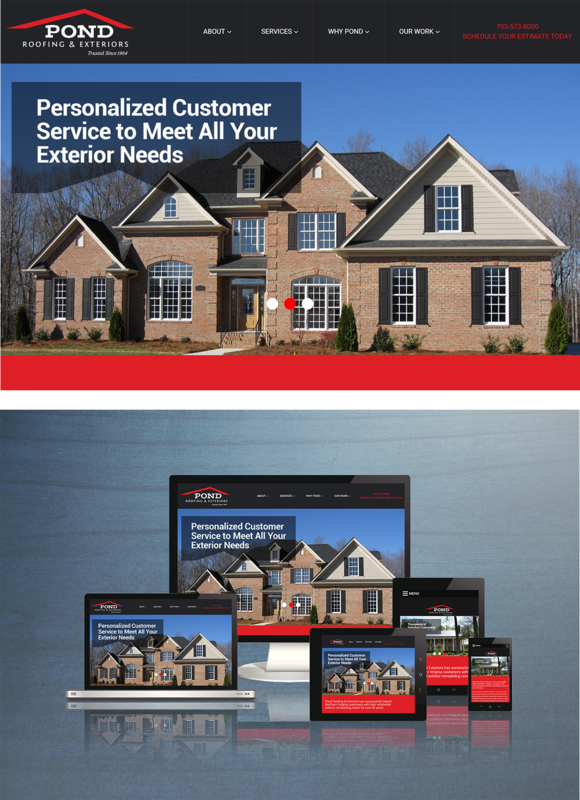 They have successfully helped Northern Virginia customers with their residential exterior remodeling needs for over 50 years. The company culture is built on getting the work done right – which has remained a key component. Pond Roofing reached out to COGO to get a better handle on how to manage their social media presence. They also asked us to redesign their website, optimize the site for competitive searches on Google and wanted the capability to receive payments online. We designed the Pond website back in 2012 and again, most recently, in 2017. The new website was built using Wordpress with PHP customizations including an interactive service map that includes all the neighborhoods they have worked in, a complete Request for Estimate form that allows visitors to submit their request online. http://www.pondroofing.com. We then optimized the website with Google so it would attract more website traffic and begin to competitively rank for keywords and keyword phrases that would get the business ranked on the first page of Google. COGO’s development team also added an Ecommerce component to the website so their customers could pay their bills online. Lastly, we recommended that Pond create a more visible social media presence and we created a social media marketing strategy that includes weekly blogging and daily posts to Facebook, Twitter, Linkedin and Google+.